Do you enjoy the melodic sound of the crashing waves right outside your window? Or the sweet scent of the salt water in the air? How about a spectacular view to greet you every morning as you rise for another exciting day? 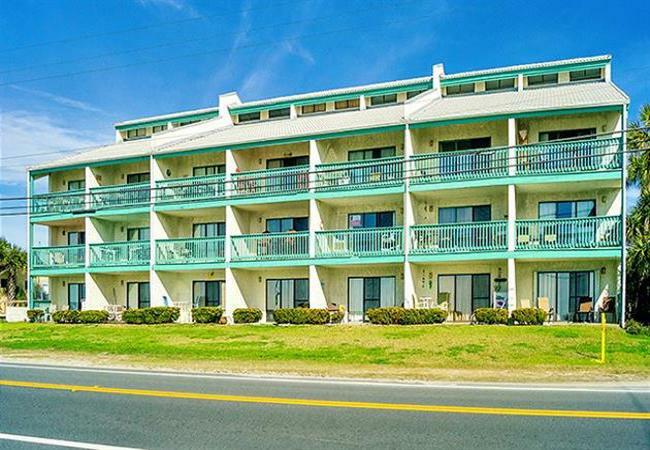 Then check out one of the jewels of Panama City Beach vacation rentals, the Emerald Shores Resort. Located in northwestern Florida on the west end of Panama City Beach, Emerald Shores Resort is the perfect vacation rental. The west end of the beach is a peaceful, tranquil area that is destined to make your stay one of leisure. If you enjoy adding a little excitement to your vacation, that is absolutely not a problem. There is an impressive array of activities, such as diving charters and jet ski rentals, just a few miles away. Or enjoy your water fun at one of the waterparks in the area. And do not worry if there happens to be an unexpected day of rain. You can also do some sightseeing and exploring within miles of this treasure of the Panama City Beach vacation rentals. There are multiple galleries and museums open for your viewing pleasure and classes available to satisfy your creative side. Then there is Panama City Beach itself. A vast 27 miles of beautiful white sandy beaches right along the warm waters of the Gulf of Mexico. And at the resort, you can soak in all that magnificence right outside your window. Just a short walk from your door to the beach, and you could be laying on your beach towel soaking up rays from the warm sun or swimming in the tepid waters of the Gulf of Mexico. There are so many positives to staying at the Emerald Shores Resort. From its convenient close proximity to exciting adventures; to the nearness of the beautiful beaches; to the spectacular views right outside your window. It is hard to believe there is more. But at the resort, they want to make sure you could have everything you possibly need to make your vacation enjoyable. If you prefer to do some swimming outside of the salt water, a private gated swimming pool is available for your convenience. Want to devour your own delicious outdoor cooked meal? At the resort, there are BBQ grills accessible for your needs. Don’t forget about the safe and beneficial on-site parking. Get ready to travel and book your trip now for an astonishing beach vacation.